Good afternoon from the heart of Downtown Cedar Rapids, as always sandwiched between two parking garages. Here we are a little over one week into the month of June already. May is barely a memory, having left just a slight imprint in my mind at least as a transition from Spring to Summer. I believe that the month of May is so named because you may just not realize that it has come and gone as the warmer days of June begin to make their annual return. It is a welcome return, and one that always seems slightly in doubt during the dark and gray stretches of January and February. A lot has happened in the last month here in town. Patios are in full swing, new bars and even breweries are getting set to open, and new beers are continually being rolled out in an effort to keep hold of shelf space and draft lines in grocery stores and craft-centric bars. Picking and choosing a tap lineup is becoming increasingly difficult as the number of great beers available is always increasing. With the way that consumers have changed their decision-making process in what they buy, retailers must also change how they operate. I wanted to take this opportunity to outline a couple of key ideals that we abide by, ideals that will hopefully become the norm for all of our great beer bars in town: clean lines and fresh beer. Let’s start by taking a look at the process of beer getting from the brewery to your favorite bar or grocery store. The second that a bottle, can, or keg is filled at the brewery is the optimal time to drink that beer. Depending on delivery schedules from the brewery to the distributor, assume the beer getting to the warehouse has anywhere from 0-30 days on it. The distributor does its best to get that beer moving as quickly as possible, and lets assume they do so within a month to give the beer an age range of 30-60 days. Now its hopefully getting on the shelf at the grocery store within a week or so, making it 40-70 days “old” when a shopper buys it. In most cases it’s less but at least we have a conservative reference point. The important thing at this point is the code date on the beer. These days, most have 120-180 day code dates meaning that up until that 120 or 180 day mark they are deemed good based on brewery specifications. In the chase to get the freshest hops, a concerning trend within a small base of beer drinkers has been to check dates on beers and publicly complain about packaging dates that are even as recent as 60 days; a date at which the human palate won’t be able to discern much of a difference. At a bar, the situation becomes a bit different as there are a set number of tap lines and consumers aren’t able to walk into a keg cooler to check dates. No matter the amount of legwork that brewery reps and distributors put into making sure kegs are put on tap in a timely fashion, consumers are still putting their faith in the bar to be pouring fresh beer. Because of that, we’ve put into place a system of inventory management to ultimately give you as a consumer the best possible experience. At any given time, we only keep about 6-10 beers in queue from week to week to go on tap. In many cases this allows us to put beers on tap within a few days of getting them from a distributor. It also means that when a beer gets released in the market, it will be on tap shortly after its release date when it is fresh as opposed to weeks or even months later. As a byproduct of our constant rotation, sometimes you will see a couple of empty tap lines on our main 48 tap tower. Chances are, there is beer line cleaner in that line soaking and doing its job (you’ll know it is if the liquid that gets poured out after the soak is the color of Cool Blue Gatorade). 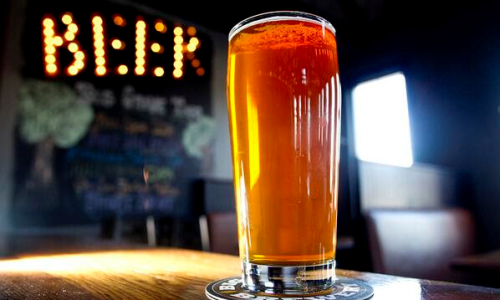 Cleaning beer lines is primarily done to prevent bacteria from overtaking the lines and causing off flavors in beer. A classic sign of dirty draft lines is a beer that smells like butter. However, in addition to regular cleaning done by the distributors, we also take the time to clean each line every time we rotate to a different beer. You may assume that this would be a common practice in bars but unfortunately it is still the exception. So the next time you stop in at Bricks and sit down at the bar and see an empty line, have faith that the beer that will soon be on tap is fresh and being poured through a clean line. It’s back! Yes, we were out of Arms Race for just a bit as the brewery continues to try and keep up with demand; which is a good thing considering when it went back on tap the keg had been kegged at the brewery that day (talk about fresh). Arms Race is absolutely delicious and in my opinion, is the best pale ale currently made in the state. Citra-hopped and backed by a tremendous bready malt flavor, Arms Race has it all. Ridiculously refreshing and performing a balancing act of hoppy bitterness and sweet malt flavor throughout, it finishes with a flavor and mouthfeel that reminds me of the flour dusting on a loaf of fresh bread – that dry and slightly sweet flavor – until the hops take back over and reassert their presence making you crave another sip. Its safe to say I’m looking forward to the day that cans of Arms Race will be available to take wherever, whenever. We’ve got a couple of neat collaboration events coming up next week. 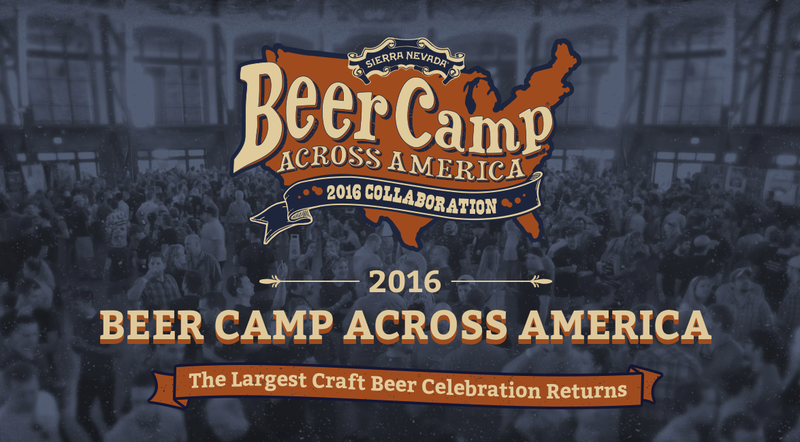 Thursday night June 16th we’ll kick it off with a celebration of Beer Camp Across America. Sierra Nevada Beer Camp is one of the coolest collaborations in the beer industry, featuring 30 different brewers in the production of six unique beers for six unique regions. 5 brewers from each different region come together and create a recipe that they feel represents that region. We’ll have all six Beer Camp beers on as well as some old favorites and Brian DeBold from Sierra Nevada will be here to have a couple of beers and share in the celebration. Tapping of the Beer Camp beers will be at 4 pm. 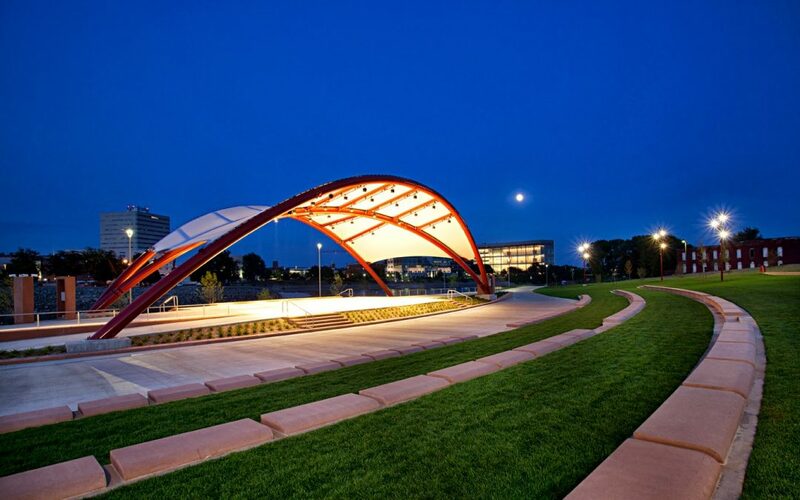 The next night we’ll be a stop along the New Belgium Fat Tire & Friends bar crawl. New Belgium is celebrating their 25th year and to help do that, they’re teaming up with five of their friends to brew their own unique take on Fat Tire. 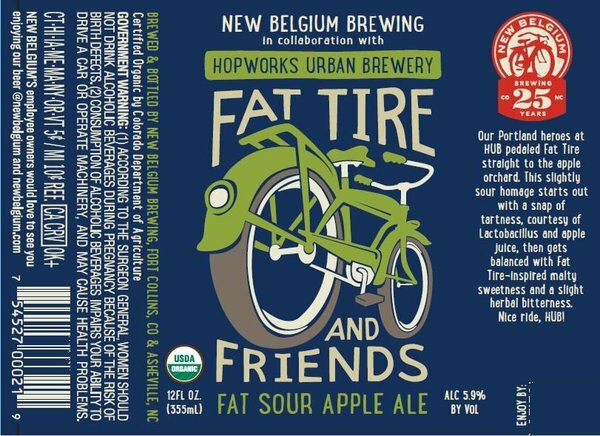 We’ll be featuring Fat Tire and Fat Sour Apple created by Hopworks Urban Brewery in Portland, Oregon. And as always there may be one or two other fun things appearing in the tap lineup that night. Registration for the crawl starts at Benz Beverage Depot at 5:30 and from there you can create your own route. We hope to see you out for one or both of these fun nights! It seems that every season of every year has a song that just stands out to us individually and becomes the soundtrack for that specific few months. Maybe it is a microcosm of our interests and feelings at the moment or a tangible output of what life feels like. And just like a time machine, I can hear a song and be instantly transported back to the time when it was my personal soundtrack, playing it over and over until it seemed like it was just playing in my head at all times. That song for me in the summer of 2016 is Home by Islandis. Islandis is an Australian duo, born out of the group New Navy and creating great indie-pop/rock sounds. Their first track released from an upcoming EP, Home spills a mix of warm nostalgia and anticipation of new adventures into one indie-beach melody. Taken directly from their Facebook page the song is “a brief moment of reflection across the years of escaped summers the two best mates have shared, whilst reveling in the excitement of the approaching warmth of a new season”. It’s a natural match then that one of the beers of the summer fits with the song of the summer. Sierra Nevada Otra Vez promises to be the liquid version of the summer soundtrack. Perfectly laid-back and chill, just the same as its musical counterpart, Otra Vez immediately summons visions of patios, beaches, and boats. Translating roughly to “another round”, Otra Vez can be on repeat for you all summer. Cheers, everyone. We hope to see you all soon.